Come on, Nokia needs this upgrade yesterday! Nokia's profits might not have been the worst in the world, but things aren't looking so great for the future. 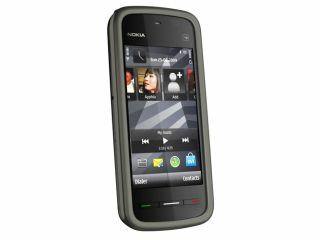 Symbian^3, the new upgrade to the creaking Symbian S60 system used on most Nokia smartphones and some from Samsung and Sony Ericsson (such as the Vivaz), was due to land in the next two months. However, during its financial results, Nokia also announced that it will be delaying the Symbian^3 operating system until the third quarter, meaning it will lose further ground to the likes of Android and the iPhone. There was no explicit reason for the release date slide, but given the average reviews Symbian touchscreen phones have been getting in the UK media, it's surely imperative the upgrade comes soon to compete with the front-running smartphone contenders. Nokia's share price has apparently dropped after the news, combined with financial announcements, falling 14.5 per cent. We're quite excited to see the Symbian overhaul, which looks likely to focus strongly on the UI – but we need to see a phone using it sooner rather than later.